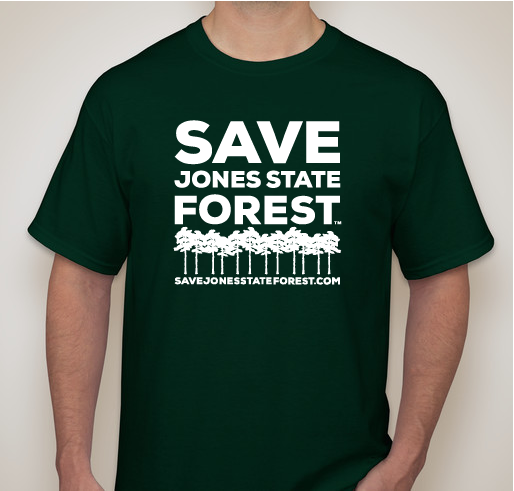 Support Save Jones State Forest and help protect our forest! All funds raised will be paid directly to Yann Wilhelm, Treasurer for Save Jones State Forest Activites. 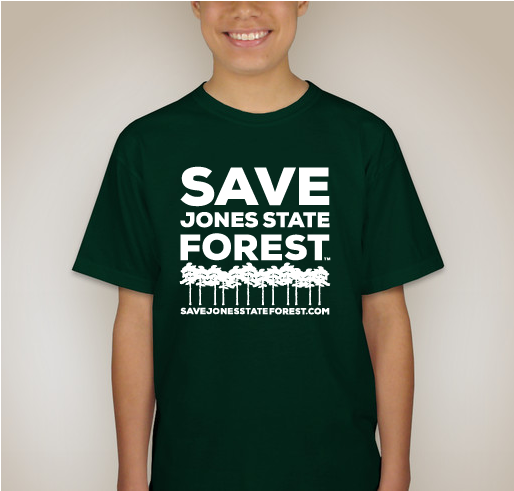 Proceeds from the sales of these shirts will be used to support Save Jones State Forest activities. At this time, we are collecting funds to pay for legal fees associated with filing for non-profit status, as well as supplies for raising awareness of SB 1964 and the threat to Jones State Forest. The costs of t-shirts and any additional donations are NOT tax deductible. Sen. Creighton has filed SB 1964 in the Texas Senate which would allow "...for the construction of buildings or improvements for multipurpose uses, including academic, research, and private commercial uses..." of the W.G. Jones State Forest. 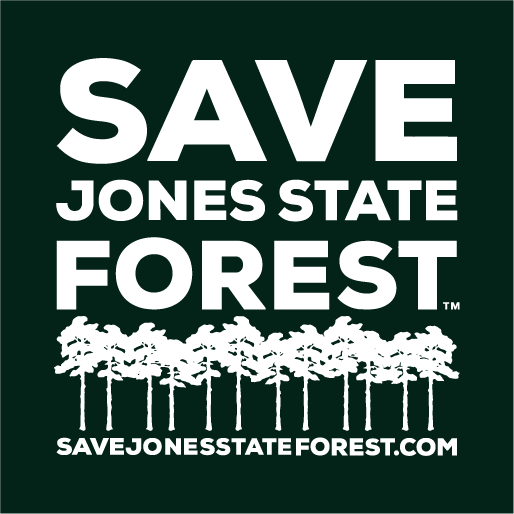 Save Jones State Forest is a group of everyday people, neighbors, and community members who have come together to protect Jones State Forest from any development beyond its original intent. This area is already overdeveloped. Has to stop now!! If this passes, we will need to think about how to vote out State Senator Creighton and A&M Vice Chancellor Tommy Williams so they won't continue doing these types of things in the future! 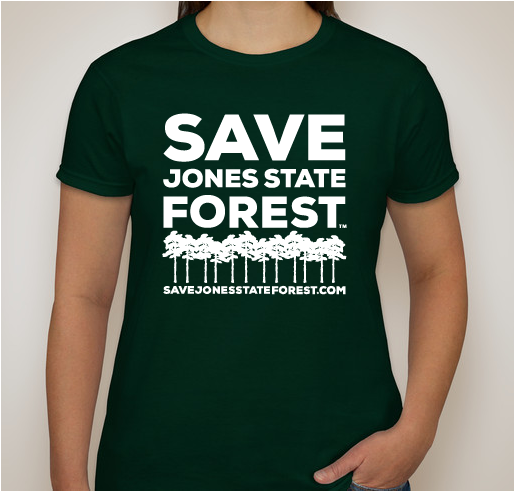 Share Why You Support "Save Jones State Forest T-shirts"